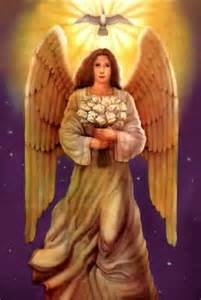 Archangel Gabriel via Shanta Gabriel: All That You Have Learned and All That Has Happened to You Brought You to Where You Are Now. Be Grateful. You have come to a time when acknowledgment of yourself is necessary. There needs to be a truce between the warring factions of your mind. One part of you is diligently watching to make sure that you never make a mistake. When you inevitably do, it leaps to chastise and remind you about all the ways you are wrong. This judgmental mind is never happy with your progress. Nothing you do could ever be good enough. It is relentless in its pursuit of your wrongness. It is time to tell this part of your mind to take a vacation. It needs to lose itself in the beauty of nature, and leave the rest of you alone. You are on this earth plane to learn. Making mistakes is one way that people learn lessons. It is impossible to do things right and perfectly every time. 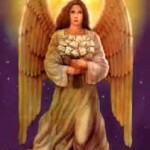 The Divine Presence does not expect this of you. What is necessary is that you follow your heart and your inner guidance. There is much wisdom within you. But it is often like a small voice calling in the wilderness, drowned out by critical and judgmental thoughts. Yet it is listening to this quieter voice that would most serve you in your life. This voice is telling you that you are a child of a loving God, and that there is nothing you can do which could stop the flow of Infinite Love. There is also society’s voice that demands you live up to certain expectations. When you are in alignment with your Higher Self, there is a flow of love-filled energy that allows you to step into a way of being which is totally connected to the Divine Power within and around you. This energy is inviting you to BE rather than do. You are being asked to let go of the confining armor of society’s expectations and of your judgmental mind that has been conditioned by it. You are being asked to look with compassion upon yourself, and to notice the many things you are learning at this time. It is a powerful time on Earth when, although there is great suffering and fear, there are also incredible opportunities to break through into great love and peace. All these experiences have assisted you in learning lessons necessary for your growth. It is time to totally forgive yourself for behaving in ways you judge as wrong or bad. You would have made different choices had you known better, but you acted from your awareness at that time. Forgive yourself and get on with your life. Do not waste any more precious time in self-criticism. You are making choices in this moment to create your future. All that you have is the power of this moment. Let the past go, and do not fear the future. Know that you are exactly where you need to be for your perfect lessons in life. It is up to you to lift the mantle of judgment and allow yourself to grow into who you would most like to be. Imagine acting in ways that bring you joy. Imagine your world surrounded in love. Know that you are a good, honest and caring person and give yourself the loving kindness and respect you deserve. Your imagination can set a powerful intention for your life when you use it to visualize a new and more harmonious way to be. When you set an intention, all the forces of the universe align themselves to manifest that which you visualize. It is wise to be careful how you use this powerful tool. You do receive whatever you focus on, if your focus and desire are strong enough. It is a Universal Law.